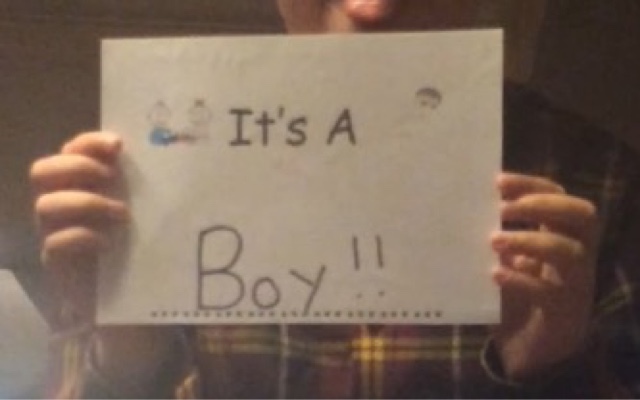 One of the reason's for coming down to London for 10 days, was to go out for the family meal so that my sister, her boyfriend and hes son could reveal to all of us what the new baby was gonna be....was it gonna be a boy or a girl. They found out in the morning but then the answer was all sealed in an envelope to be revealed to everyone else after everyone had eaten which I think was about 8:30pm, so we all had quite a long while to wait haha. It was the new babys soon to be big brother Charlie that revealed it to everyone that there was gonna be a new little boy joining the family next year which is rather exciting! The meal was rather lovely, I ended up having a chicken & bacon burger with sweet potato chips and barbecue sauce, it was absolutely lovely! After letting that go down for a bit I then got a dessert of cookie dough cheesecake with ice-cream and chocolate sauce....that was rather sickly though and I only managed to eat half of it, none went to waste tho as my sister finished it off for me haha. So now the long wait of finally being able to meet my new nephew who isn't due till the beginning of January, which if this year has been anything to go by then January will come around really soon, as so far this year has flown by seems like it was only the beginning of 2015 just a few weeks ago. Regular blog posts will be back on track by next Friday, as I'm travelling back home to Wales on the 1st September so I will have more time to sit down and plan blog posts aswell as pictures to go with them. During this time in London I just haven't had much time to sit down and do them on my laptop, and I hate using the blogger app on my iPhone to do posts as you can never really see how it's all gonna look as soon as you hit that "publish" button.